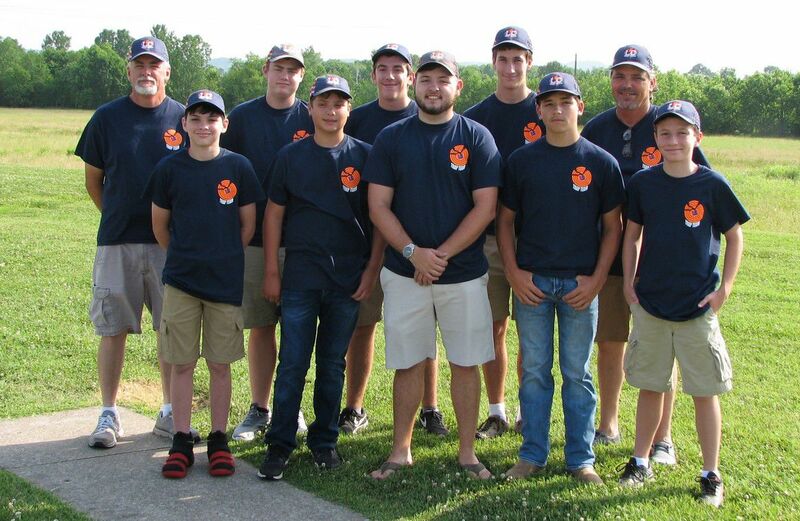 The Lincoln County Trap Team recently participated in the 2018 Tennessee Academics, Integrity, and Marksmanship (AIM) State Championship at the Nashville Gun Club. Some 257 shooters from across Tennessee participated in the two-day event. The competition consisted of shooting 200 single targets, 100 handicaps (shooting distance dependent upon shooter’s skill level), and 100 doubles (50 pairs). The 2018 Lincoln County Trap Team consists of Jay Kelly, Michael Sisk, Nicholas Moon, Elias Brady, Brandon Sisk, Wyatt Stewart, Peyton Hargrave, Caleb Newton and Justin Ellis. While no team award was won by Lincoln County at the competition, members did earn several individual state champion awards and highlights. Jay Kelly won three Junior Gold State Champion awards: High Over All Champion, Doubles Champion and Handicaps Champion. Michael Sisk won two Junior State Champion awards: High Over All Champion and Handicaps Champion. 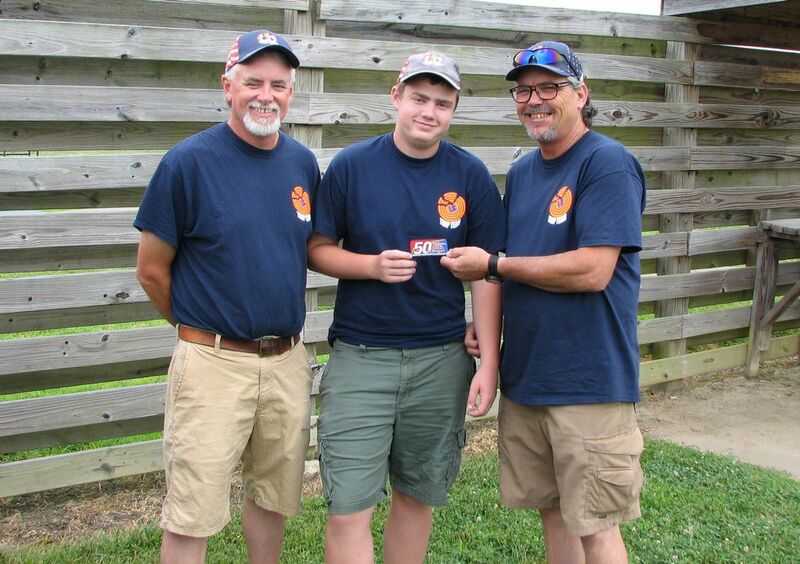 Three members celebrated individual highlights: Wyatt Stewart and Peyton Hargrave were awarded “25 straight” patches for shooting their first perfect round of 25 singles targets. Elias Brady was awarded his “50 straight” patch that was earned recently by shooting two perfect rounds of 25 singles targets back to back. The next big event for the team will be at the AIM Grand National Youth Championship held at the World Shooting & Recreational Complex (WSRC) in Sparta, Ill.
Gold Sponsors: Craig Game Preserve, Hargrave Construction, Kelly Transport and The Outpost Armory. Silver Sponsors: Barnes Electric, Edwards & Hammons Heating & Air, Hardin Homebuilders, Higgins Funeral Home, Howard Bentley Buick GMC Inc., Mr. Rooter Plumbing and R&S Properties. Bronze Sponsors: Adjustable Floor Support, Bank of Lincoln County, Brady Tile & Marble, Boondoogle Jack Firearms, Carter’s Drugstore, CB&S Bank, C&L Small Engine, Elk Valley Times, Farm Bureau Insurance, Farrar Tire TN LLC, Fayetteville Elks Lodge #1792, Fayetteville Lumber & Supply, First National Bank, Gallant-Riverview Funeral Home, Gatlin Plumbing & Electric, Henley Supply Network, Jeans Lawn & Landscapers, Inc., Landers McLarty Toyota, Local Peoples Gas, Mirage Pools, Marvin’s Family Restaurant, Moon Lawn Care, Pendergrass Supply & Rentals, State Farm Bureau and Tate Farms Cotton Pickin’ Pumpkins.